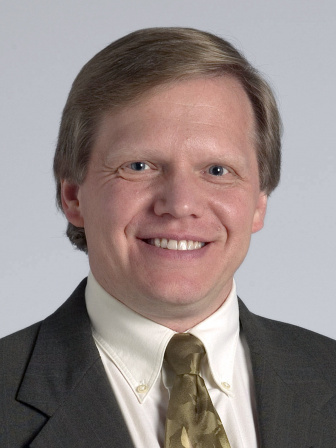 Carl S. Winalski, MD is a staff musculoskeletal radiologist in the Imaging Institute and Department of Biomedical Engineering, Cleveland Clinic and the Director of Musculoskeletal Radiology Research Fellowship. He is an active member of the Cleveland Clinic Arthritis Cluster Group, Musculoskeletal Advisory Council, and Sports Health Center Research Committee. In 1984, he received his MD at Tufts University School of Medicine. In 1989, after finishing his radiology training, he remained on staff at Brigham & Womens Hospital, Boston until 2006 when he moved to Cleveland Clinic. While in Boston, he was Director of Musculoskeletal MR in the Radiology Department and the Cartilage Repair Center. Carl. Winalskis research has focused on imaging of arthritis, new methods for imaging articular cartilage and surgical cartilage repair, and, most recently, meniscal evaluation and MR cartilage contrast agent development. His interest in articular cartilage repair began in 1995 working with Tom Minas, MD on imaging evaluation methods and MR-arthroscopic correlations for autologous chondrocytes implantation. Carl Winalski joined ICRS in 1998 and, with Vladimir Bobic, MD, helped create the ICRS Imaging Committee and served as the Chair of the Diagnostic and Imaging Working Group until 2008. He has been a Fellow of the ICRS since 2008.